Nola started off as an experiment in which endless colour and light combinations were explored in a spatial context. The result is a landscape of light captured in the emptiness of glass cloches. 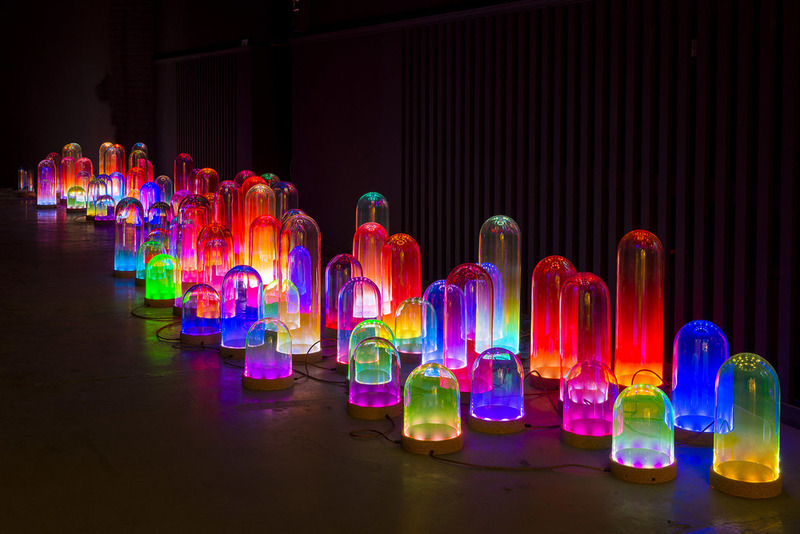 Nola which means ‘bell’ in Latin, consists of mouth-blown pastel pink, blue, yellow or green cloches, combined with various coloured LED lights. The light in each Nola can be programmed individually, providing endless variations and a unique colour scheme per Nola. Studio Drift designed Nola for Dutch design label Buhtiq31’s first collection.